The Sin Bin Sports Blog: Can The Red Wings Keep Their Playoff Streak Alive? Can The Red Wings Keep Their Playoff Streak Alive? Over the last two decades, The Detroit Red Wings and the Stanley Cup Playoffs have have gone together like peanut butter and jelly. You could not talk about one without mentioning the other. As a matter of fact, with the Red Wings qualifying for the playoffs the last 21 seasons, there is a good portion of the NHL fan base that likely does not remember a season where the Red Wings did not qualify for the playoffs. The last time the Wings did not qualify for the playoffs was the '89-'90 season, a year before this blogger was even born. Some of the NHL's top young talent like, Nail Yakupov, Ryan Nugent-Hopkins, Oliver Ekman-Larsson, Gabriel Landeskog, Jeff Skinner and Tyler Seguin were born several seasons into this streak. Over the course of this streak a lot has changed, there have been four different Presidents in the White House, at the beginning of this streak the average price for a gallon of gas was under $1.20 and the most popular television show was Cheers. Even with an ever changing, nation, economy, pop culture and all around life one thing has been a constant, the Red Wings will make the playoffs. Now with just seven games remaining in this lockout-shortened season, the Red Wings sit in the eighth and final playoff spot in the Western Conference with just two points separating them, eleventh place and their first long summer in a very long time. The Wings would have loved to get the extra point in their last two games, both shootout losses, in order to distance themselves from those on their heels. 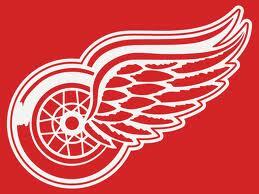 But, the Red Wings are very much in control of their playoff fate. The schedule is perhaps the Red Wings biggest ally. In two of their seven remaining games they will face off against teams they are fighting with for that last playoff spot. One of those two games will be the season finale for Detroit, so it may come down to the very last game for the Red Wings this year. Detroit and their fans need to hope for regulation losses from here on out. Any game where a team they are fighting with gets a point is basically a loss for Detroit. Especially in games where they face off against those teams, they cant afford for those teams to sneak away with a point and inch closer. So, can Pavel Datsyuk, Henrik Zetterburg, Jimmy Howard and Company strum up some late season magic and make the post season dance, or will the Detroit community have to turn to Tigers baseball at a much early time than what has come to be the norm?